On May 17, 2012, the Federal Energy Regulatory Commission (FERC) issued a Policy Statement explaining how it will advise the Environmental Protection Agency (EPA) on requests by generators for EPA to extend the deadline for compliance with EPA’s Utility Mercury and Air Toxics Standards (Utility MATS). Promulgated in December 2011, the Utility MATS rule requires significant reductions in emissions of mercury and other hazardous air pollutants from existing electric generating units nationwide. EPA has stated it will allow generators that are critical to electric reliability, and would otherwise be required to cease operation by the Utility MATS compliance deadline, to seek an EPA administrative order allowing them to operate for an additional year. FERC’s new Policy Statement provides that for each such extension request, it will advise EPA whether failure to grant such an extension might lead to a violation of a FERC-approved Reliability Standard. It will not, however, recommend to EPA that the Agency grant or deny such extension requests, and will not advise EPA on potential impacts that are not within FERC’s jurisdiction over reliability standards. In December 2011, EPA finalized the Utility MATS rule, which limits emissions of mercury, acid gases and other hazardous air pollutants from certain new and existing electric generating units under Section 112 of the Clean Air Act (for further details, see December 22, 2011 VNF Alert, “EPA Issues Final Rule Regulating Mercury, Other Pollutants From Power Plants”). 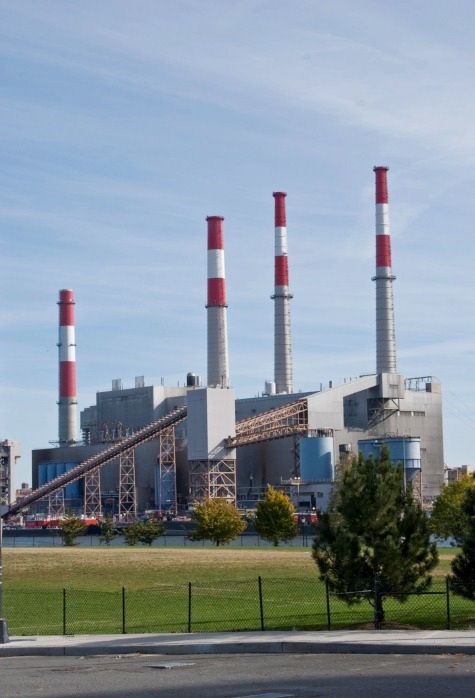 Consistent with the requirements of the Clean Air Act, affected generators must comply with the Utility MATS rule within three years of the rule’s effective date (i.e., by February 16, 2015), with a possible one-year extension (i.e., a fourth year for compliance), to be granted by the states as needed on a case-by-case basis. Because of concerns that the rule will lead to significant generator retirements and outages that may impact grid reliability, EPA released an Enforcement Response Policy in December 2011 that provides for an additional year-long compliance extension (i.e., a fifth year for compliance) if EPA determines the extension is needed to address a specific and documented reliability concern. Under this Enforcement Response Policy, a generator that plans to retrofit but has experienced delays in installing control equipment required by the rule, or that must operate because another generator has experienced a delay beyond the fourth year, may request a one-year extension in the compliance deadline from EPA. Generators that choose to deactivate rather than retrofit as a result of the Utility MATS rule also may seek an administrative order from EPA to obtain an additional year of operation prior to deactivation. In considering requests for administrative orders, EPA indicated it will seek advice from FERC, state public utility commissions, and other entities with reliability expertise; however, discretion to issue an administrative order rests solely with EPA and the FERC policy underscores this point. EPA will issue an administrative order if the agency finds the generator’s continued operation is critical to ensure compliance with FERC-approved reliability standards or required system reserve margins. FERC’s review of a generator’s extension request will be conducted under FERC’s general investigative authority pursuant to Section 307(a) of the Federal Power Act (FPA). FERC will examine whether failure to grant an extension might lead to a violation of a Commission-approved Reliability Standard. FERC will also evaluate reliability issues outside the scope of Section 215 of the FPA (which authorizes FERC to approve Reliability Standards), but that are otherwise within FERC jurisdiction, if those issues are raised in a generator’s extension request. FERC will not, however, evaluate reliability impacts beyond its jurisdiction, such as potential impacts on resource adequacy, and urges EPA to look to the North American Electric Reliability Corporation (NERC) and state commissions, among others, for guidance in these areas. FERC will not require any particular analysis or information to be submitted with the generator’s request, but suggests that information pertinent to potential violations of Reliability Standards be included (such as system planning and operations studies, system restoration studies or plans, operating procedures, and mitigation plans). FERC will not permit interventions in dockets addressing extension requests, noting that interventions are not ordinarily permitted in FERC investigations and that interventions could prevent FERC from offering timely comments to EPA. EPA’s Enforcement Response Policy requires that generators forward any comments on an extension request to EPA. FERC will submit written comments to EPA advising it whether failure to grant a compliance extension might lead to a violation of a Commission-approved Reliability Standard, but will not address whether EPA should approve or deny the request. These comments will be voted on by the full Commission and publicly posted in the docket for each informational filing. FERC’s Policy Statement provides a structured framework for FERC to provide case-by-case advice to EPA on the potential reliability impacts of a specific generator retiring or scheduling an outage to comply with the Utility MATS rule. The Policy Statement also underscores FERC’s intention to engage with EPA in specific cases in which generators seek administrative orders from EPA to extend their deadlines for compliance with the Utility MATS rule. The Policy Statement has a narrow scope limited to case-by-case input to EPA on the potential reliability issues raised by individual generators retrofit or deactivation timelines that fall within FERC’s reliability jurisdiction. FERC’s input is not binding guidance to EPA. Moreover, the Policy Statement does not address the broad scope of reliability concerns that industry and policymakers have raised in connection with the Utility MATS rule. Concerns such as system resource adequacy and safety, coordination to schedule outages among generators within a region, and the potential regional reliability impact of multiple base load generators that choose to deactivate rather than comply with the Utility MATS rule are not addressed in FERC’s Policy Statement. The limited scope of the Policy Statement may prompt renewed calls by policymakers as well as industry for a more comprehensive, coordinated regional process to address the broader reliability concerns with the Utility MATS rule. In the Policy Statement, FERC states that it will continue to work on such reliability issues through the National Association of Regulatory Utility Commissioners/FERC Forum on Reliability and the Environment, and through review of plans and information generated by industry, planning authorities, and other stakeholders. Recognized by Chambers USA, Legal 500, and U.S. News/Best Law Firms as a leading environmental regulatory and litigation firm, Van Ness Feldman’s has an unparalleled depth of experience in air quality rulemaking and analysis and its implications for the power sector. The firm has been closely monitoring and counseling clients on all developments related to the final MATS rule. If you would like more information, please contact Kyle Danish, Britt Fleming, Andrew Art, or any member of the firm’s Environment or Electric Practices in Washington, D.C. at (202) 298-1800 or in Seattle, WA at (206) 623-9372.